She is an elegant woman with burning look. 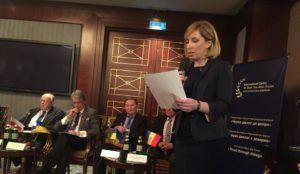 The President of the International Centre for Black Sea-Baltic Studies Iryna Vereshchuk is one of the best independent experts on international relations in Ukraine. We met with her to talk about how communication between Kyiv and Warsaw is going to change. – Iryna, what is your forecast about the strategy Poland will opt for towards Ukraine in terms of preparing for «new world order»? Firstly, we should understand who create fake extortion between Ukraine and Poland. Actually, there is not a time to do that, because world is going on to change, we are about to see great transformations due to the upcoming elections in Germany, France, last Brexit. We are starting new era and we can’t be sure that all political instruments which were used three year ago will be functional today. We remember how brutally Crimea peninsula was annexed, it was first case since 2WW when territory was taken away despite international engagements. Polish party Prawo i Sprawiedliwość today takes all power in the country. Never before have all branches of government been in one’s hands in Poland. PiS represents right conservators, they always support Ukraine and its independence, they are our advocates in Euro Parliament. Moreover, Pole Donald Tusk stopped being a President of the European Parliament resently. But even he claimed: I will protect not Poland in Europe, but Europe in Poland. Today is the most essential. So does Poland worry about maintaining order at its territory? Presedent Duda said that Polish politics today is «not about us without us». It means that no one can interfere in the polish affairs, because Polish approaches a development level and readies to take responsibility for their actions, which may not even like European politicians. Poles are trying to get rid of inferiority complex. This tension between Brussels and Warsaw may affect Ukraine. Poland sticks up for Ukraine unofficially, including the EU membership, but these attempts are futile. It turns out that all polish attempts to take part in Minsk negotiation process are useless…. – Absolutely. Especially, if we know that according to ex-Ukrainian Presedent Leonid Kuchma – Minsk negotiations are dead, therefore it’s useless to add somebody to «dead body». We need new format of meetings with powerful players as the USA. And I’m not sure that Poland will help us in Minsk negotiation process because it lost its influence in international politics as its own problems inside the country. – Kiev’s Maidan is often compared with demonstrations in Warsaw. Do you think that comparison is correct? – One polish politician emphasized that we shouldn’t draw parallels as we think in different way with polish people. The ancient Ukrainians named the Cossacks used to come to the square to solve the problem. Polish people never had this experience. Their conduct differs from ours. Their labors have never fought for their rights uprising. They always obey the law. They will crowd together, arrange conspiracy, but will never fight with pitchfork. Polish people will not organize resistance of millions, they will not struggle, bringing down government. But they will press permanently. They insist on the fact that these methods are much more effective than making one huge «explosion». And really Kachinskiy felt power of society. — Have Polish-Russian relations warmed recently? – This year many programs that supported young EU countries ended. As a result Poland looks for new sources of costs. The electorate who voted for the party Prawo i Sprawiedliwość expect decisive steps. But attitude to Russia remains not positive. By the way, Russia uses instability inside Poland to split it up with Ukraine. – Poland is ready to give cizenship for two millions of Ukrainians and Belarusians this year. Could this intention change due to instability in the country? – Brexit is a big problem, if 3 million polish people come back from Britan, Ukrainians will lost their jobs. If polish people start remigration, government will help them and forget about Ukrainians. 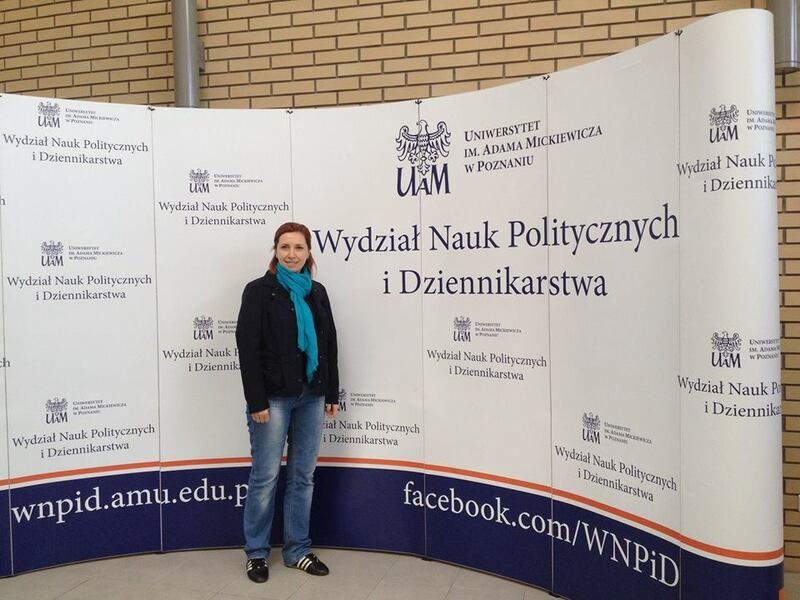 Nevertheless, I heard from professor of Poznan university about problems with number of Ukrainian students this year. They used to go to the polish universities actively but since anti-ukrainian propaganda was started, students are afraid of studying in Poland. Lecturers risk loosing their job, they are lacking in Ukrainian students. I couldn’t imagine that. – How should we built our relations with Poland in your opinion? – We want to cooperate with Poland not as a ‘little sister’, we want the peaceful coexistence of a partnership. I do not believe rumors about attacks on the integrity of Ukraine, the possibility of returning Lviv. However, Poland is trying to dominate on mental level. I do not agree that the only one way to Europe for Ukraine is Poland. – What steps for Ukraine in international politics do you suggest? 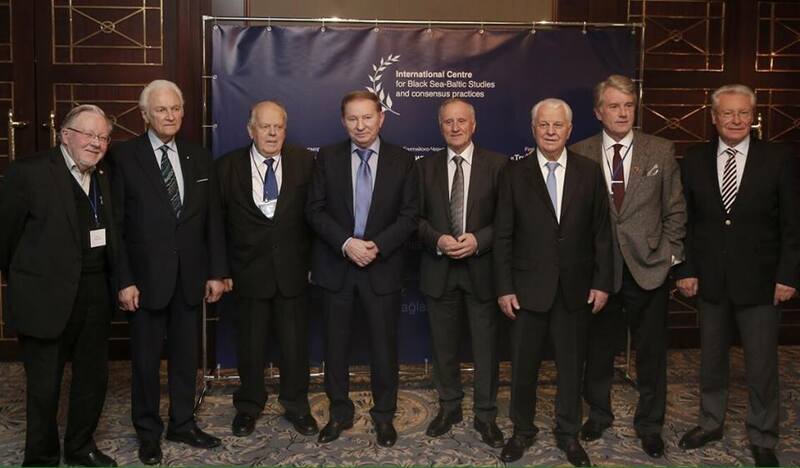 – We created new platform The International Centre for Black Sea-Baltic Studies and consensus Practices. 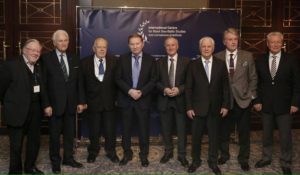 Three ex-Presedents of Ukraine (Kravchuk, Kuchma, Yuschenko), two ex-Presedents of Poland (Kvasnevskiy and Walesa), ex-President of Latvia Valdis Zatlers, Head of the Lithuanian State (1992, 1996-2000) Vitaustas Landsbergis, ex-President of Moldova Petru Lucinschi, ex-President of Estonia Arnold Ruutel, Head of the Supreme Council of Belarus (1991-1994) Stanislav Shushkevich, and Secretary of the RSFSR (1991-1992) Gennady Burbulis joined us. Now these Heads of states are out of power, so they can tell much more than before, when they were involved in diplomatic process. Our experts, known intellectuals, have fresh views on how to react on world politic changes. There are two ways today: multipolarity or influence of two big contries the USA and Russia, which forgets that the world has changed and is no longer black-and-white. Ukraine wants to cooperate but does not want to be a slave or go by directions of our neighbors. Unity in diversity makes the region of Central and Eastern Europe productive for developing new forms of neighborly responsible and peacekeeping cooperation. The goal and strategy of the Center is that on a modern multidisciplinary scientific and humanitarian basis to identify and generate new consensus practices, i.e. new structural forms and methods of relationships that are based on dialogue, trust and understanding.